Hino Trucks unveils XL Series; enters into Class 8 market for the first time in the U.S.
Hino Trucks unveiled its new line of trucks in a 'big' way at The Work Truck Show 2018. 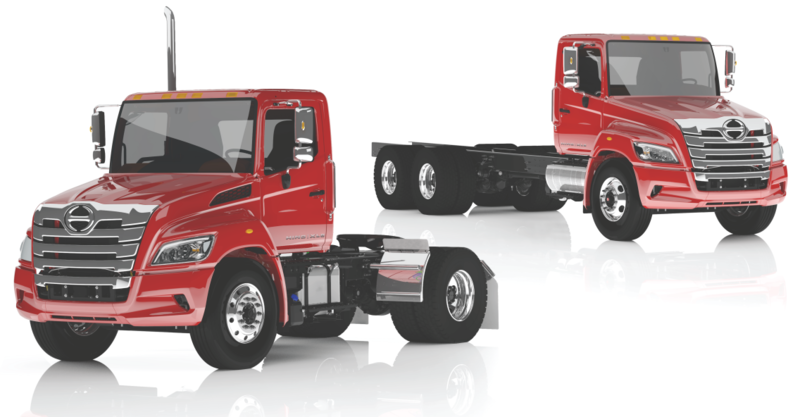 Carrying the name Hino XL Series, this all-new lineup rounds out Hino Trucks Class 7 product offering and launches them into the Class 8 market for the first time in the U.S. The Hino XL7 and XL8 models are powered by Hino's legendary A09 turbo diesel 8.9-liter inline 6-cylinder engine boasting a B10 life of 1,000,000 miles. The Hino XL Series adds capability and new advantages to Hino Trucks product portfolio while holding true to the brand's core advantages of industry-leading standard features, durability, reliability, and ownership experience. "Considering our remarkable success in Class 4-7 in North America, and our growing global presence in the Class 8 market, entering the North American heavy duty segment makes for the next logical step. Not to mention our customers and our dealer network have been asking for this for some time," said Yoshinori Noguchi, President and CEO of Hino Trucks North America. Hino Trucks set out to create a vehicle with best-in-class styling, ergonomics, and valued amenities. "Both drivers and owners are going to love this truck!" remarked Glenn Ellis, VP of Customer Experience. "The first thing you notice is the styling -- the aerodynamic yet bold design could proudly represent any business. Then you open the door to a wide, easy-access entry and an automotive grade finished interior ready to provide the best service possible to drivers and teams." Air-ride cab and driver's seat, hands-free Bluetooth audio/calling, steering wheel controls, LED headlights, cruise control, and air conditioning are a few of the distinguished features that will be standard equipment on every 2020 model year Hino XL7 and XL8. As with everything Hino Trucks does, the Hino XL Series is more than a product, it is about providing Hino customers an ultimate ownership experience. The benefits current Hino customers receive -- from HinoWatch 24/7 roadside assistance and HinoCare maintenance programs to the industry's leading fully integrated connected vehicle solution, Hino Insight – will be benefits for Hino XL Series customers. Hino Insight Telematics carries a one-year complimentary subscription, while Insight Remote Diagnostics and Insight Case Management are complimentary for five-years.